A few weeks ago we brought you Decorist Celebrity Chloe Redmond Warner's stunning dining room from this year's San Francisco Decorator Showcase. 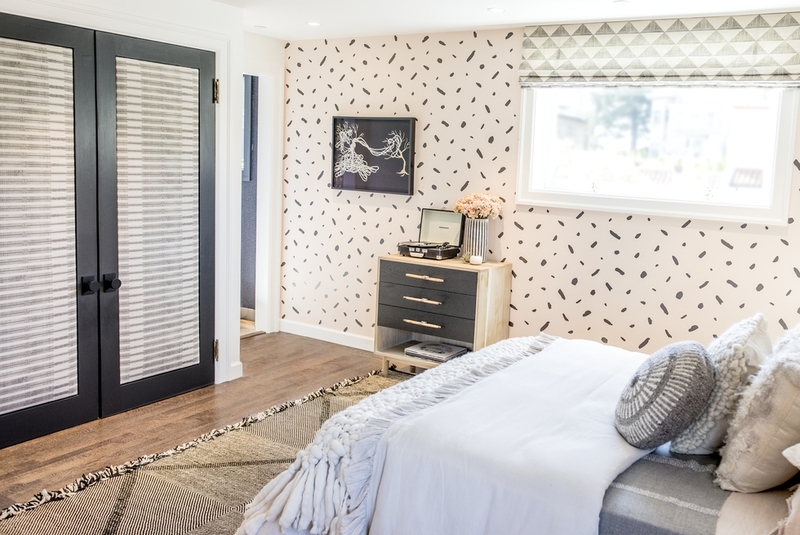 Today, we're taking you on another exclusive tour of the showhouse but this time it is the gorgeous teen bedroom appropriately named "THIRTEEN" designed by Decorist Elite Designer Kristen Pena. 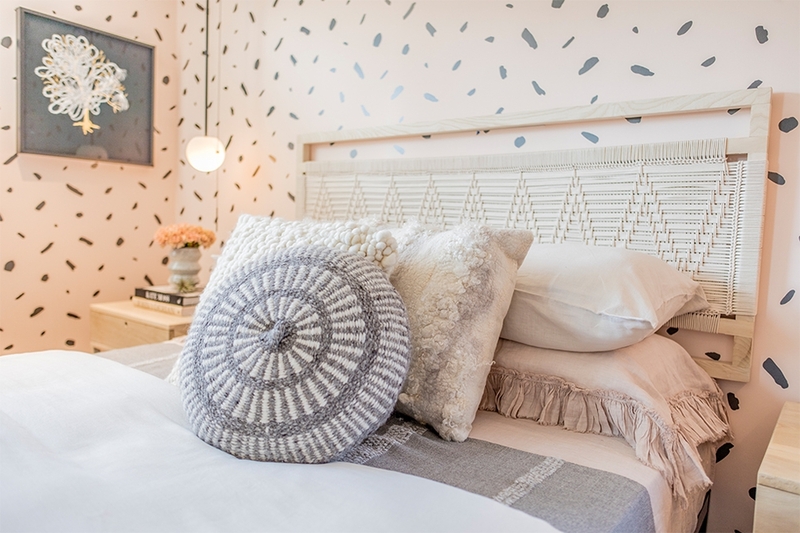 Kristen created a gorgeous feminine, but not too girly, bedroom for a thirteen year old. 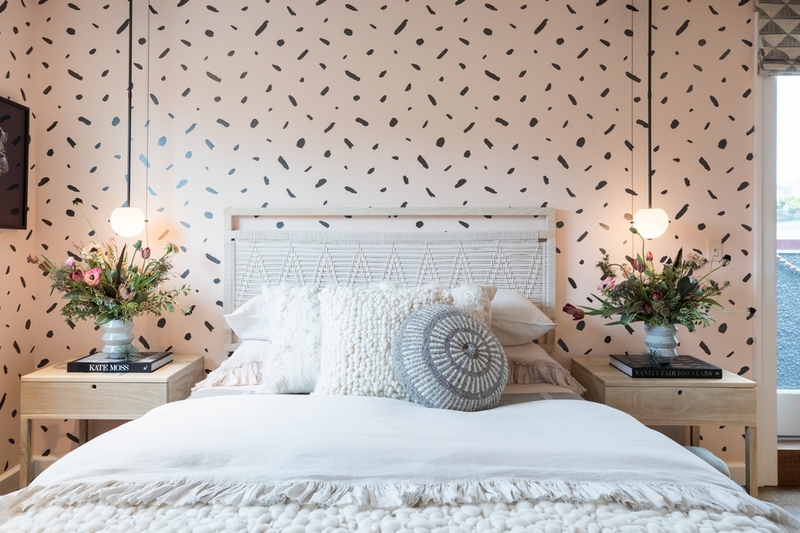 The room is cozy, funky and livable with a pale pink, cream and black color palette that serves as the perfect backdrop for the transition for adolescence to young adult. In Kristen's words, "it's a sanctuary with beautiful textures and materials that layered together to create a cozy space of escape, a place where her deepest secrets and her beloved childhood teddy bear can live side by side." The patterned wallpaper meshes beautifully with the adjacent dark accent wall strewn with thick rope lights by Windy Chien. Kristen added more organic elements to the room with the handwoven headboard, yummy textured bedding and the laid back leather lounge chairs. Kristen wanted to create a space that was sophisticated yet youthful to represents that inevitable push and pull of that time in life. And clearly, Kristen nailed the design! So now sit back and take a look at the beautiful room and get some great designer tips from Kristen along the way. Free up space on your bedside tables by hanging modern pendants from the ceiling. It's a current look that creates a little drama and interest to a room. An accent wall is often a way to create a focal point in a room. 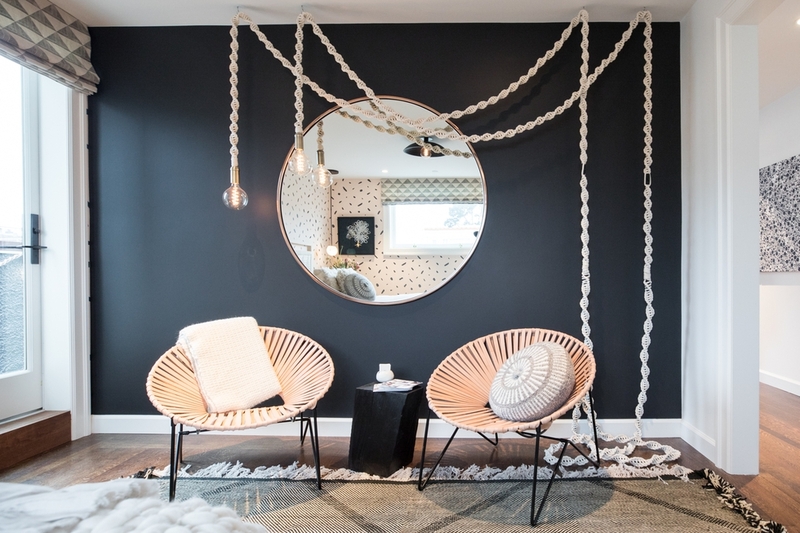 Juxtaposed to the blush color in the wallpaper, I chose a black accent wall with an organic, funky rope light from local Bay Area artist Windy Chien that helps balance the room and gives it an playful, edgy vibe. The lounge chairs from Citizenry add a laid back global feel with their mix of leather and copper. Who needs a boring door panel? Cozy up a room by adding an upholstered panel to your closet doors. It's a clever way to add a new pattern to the mix and could even be a pinboard for kid's rooms! Texture—in the form of linen, fur, wool, rope—is an excellent way to cozy up a space. By layering textiles on the bed it creates visual interest and makes a nest that you can’t wait to crawl into everyday. And the addition of a handwoven headboard from Peg Woodworking lends a modern, organic feel. Spice up a piece of furniture with interesting hardware. 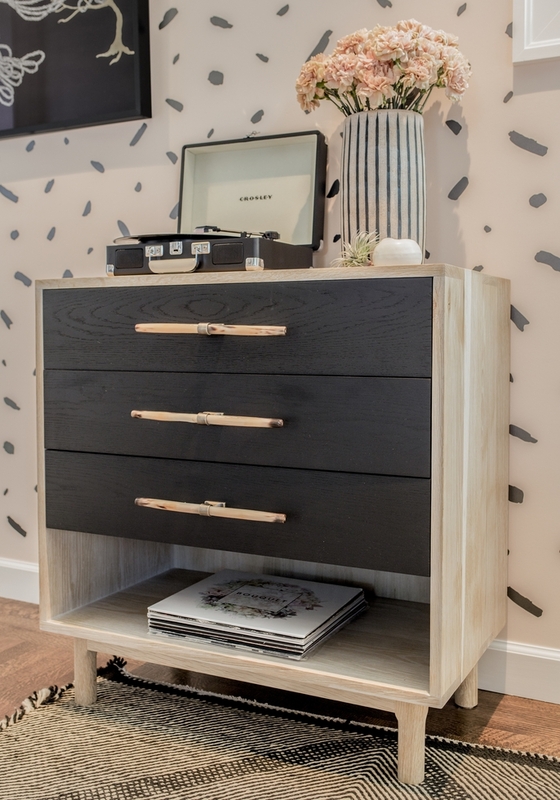 I chose horn drawer pulls that added a different texture and sophisictation to the dresser. Using something unexpected elevates the piece immediately. Thank you Kristen for sharing your beautiful room and your helpful tips. Now if you're feeling inspired pop over to Kristen's page to start your own online interior design project. She has limited availability so be sure to act fast. Happy Decorating!